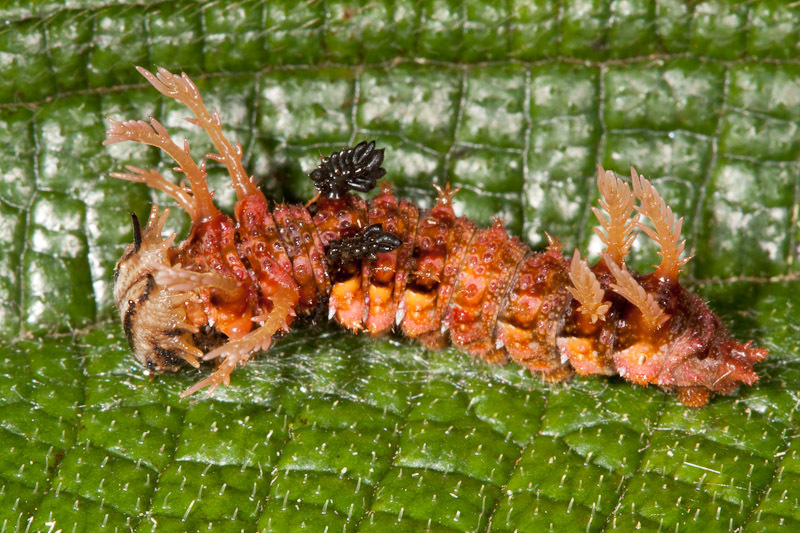 Commenters had no trouble finding the cryptic critter circled above on a partially eaten leaf. No one figured out that it was a caterpillar though, and a rather bizarre one at that. Here’s a closer look. It does a pretty good job, I think, of blending in with the damaged areas of the other leaves. 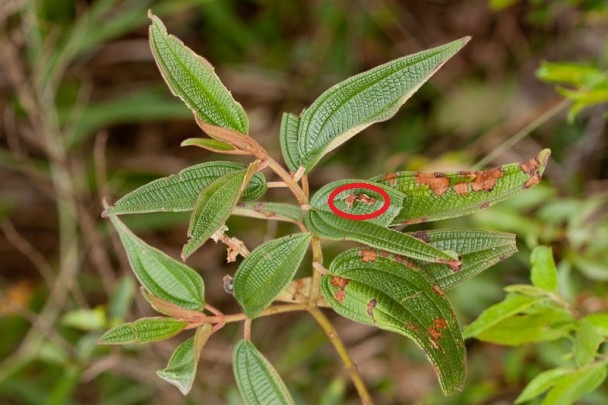 I suspect the brown leaf areas were damaged by an earlier instar that chews away at the surface of the leaf rather than eating the entire thing. It looks formidable and I didn’t risk touching it. Those black structures are unlike anything I’ve seen on a caterpillar. I don’t really have any idea what type of caterpillar it is. 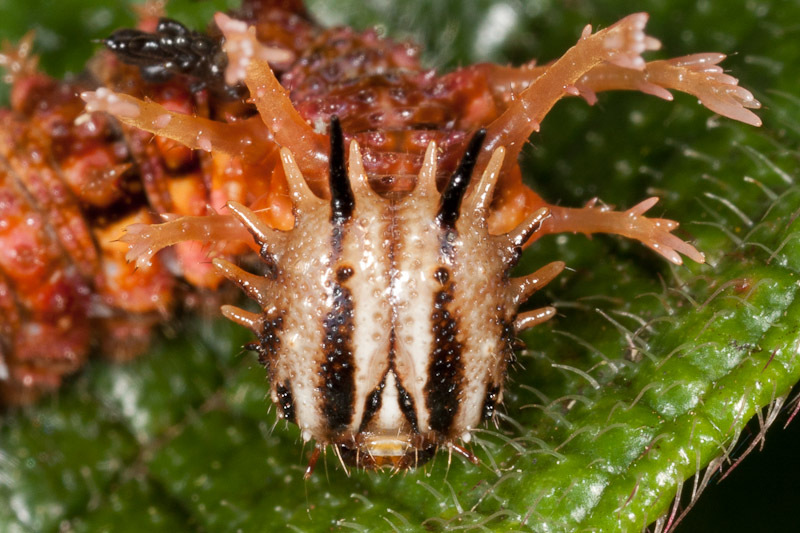 I suspect this is just a middle instar and that the final instar might be quite different looking. Oh, that is a good one. I have no idea on the caterpillar, but I believe the plant is a member of the Melastomataceae. I think the leaf venation is pretty distinctive for that (huge) family.